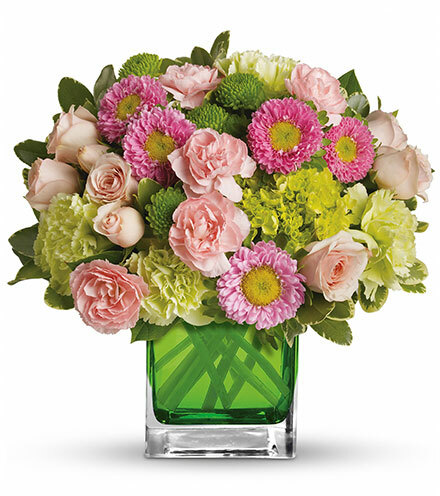 Pink radiates tenderness, kindness and compassion. 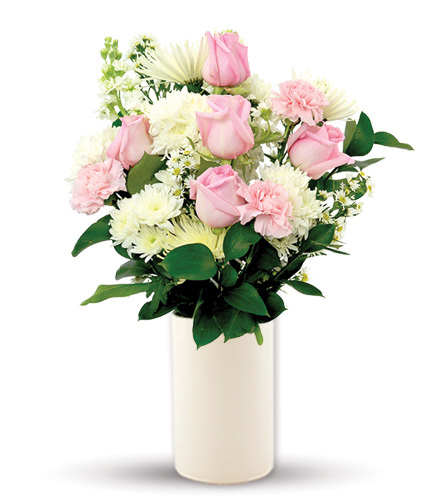 It is a nurturing color resting next to pale cream spider mums and asters elegantly mixed with roses and carnations in soft shades of posy pink. 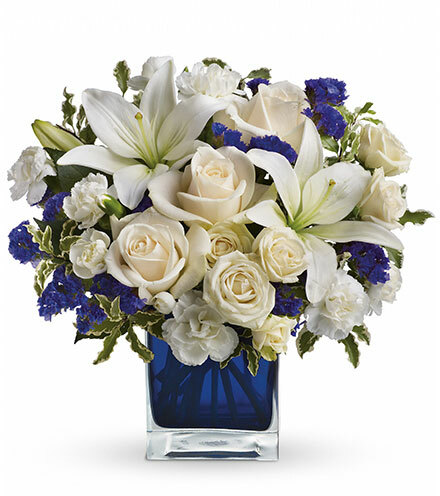 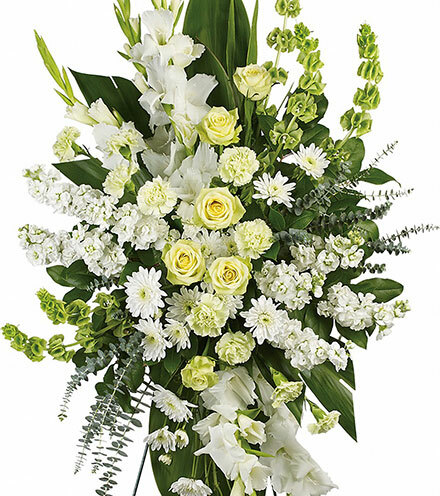 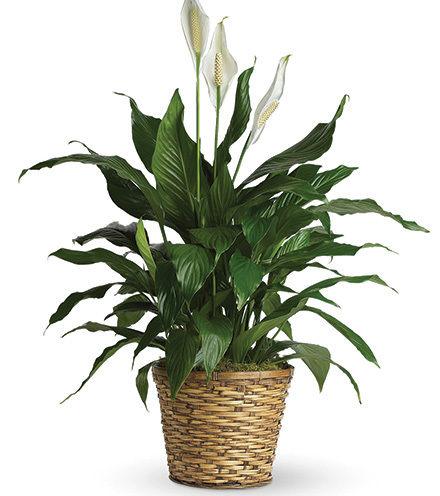 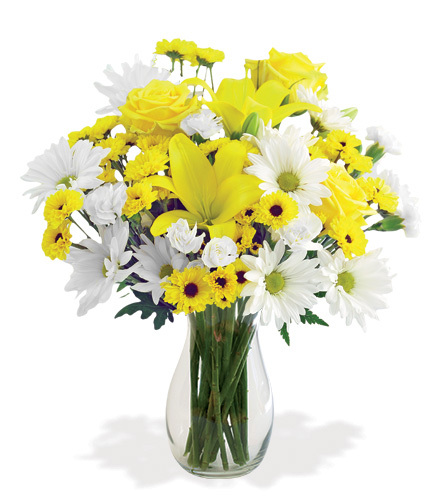 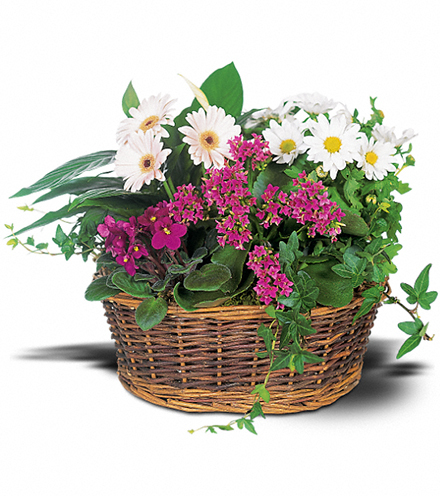 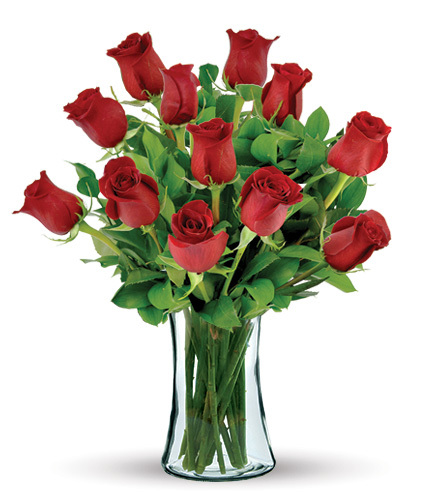 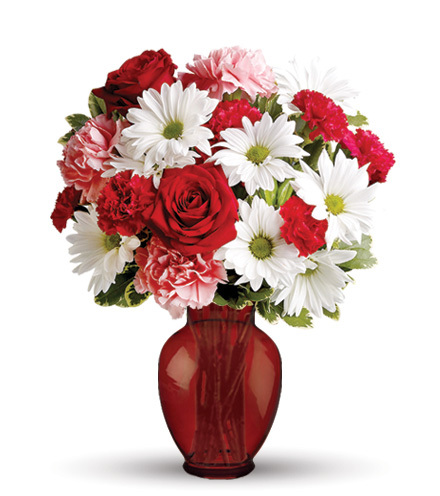 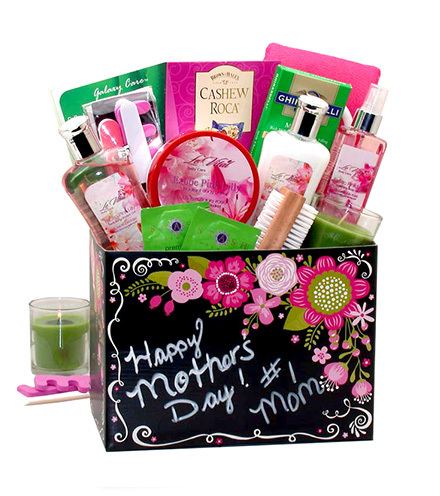 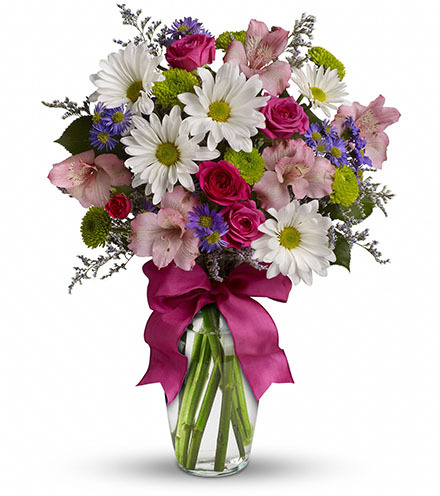 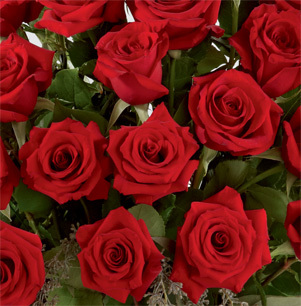 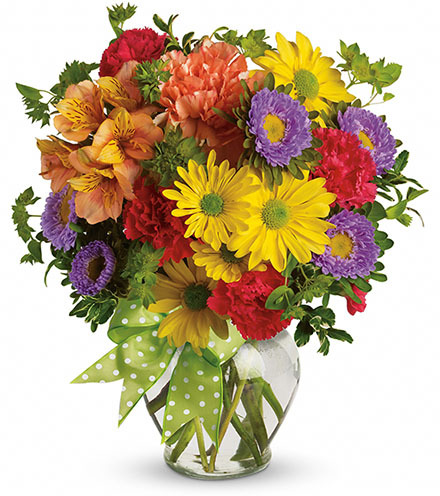 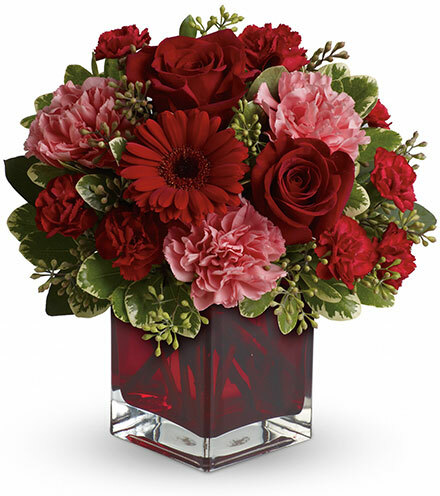 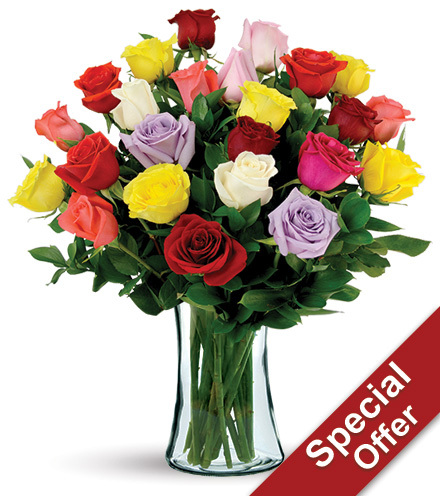 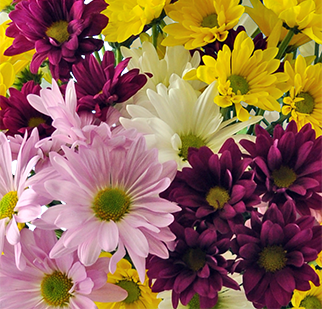 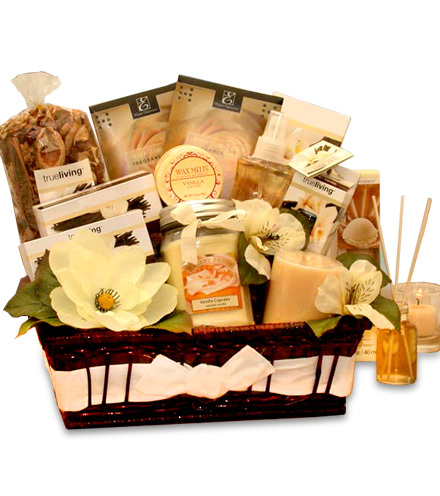 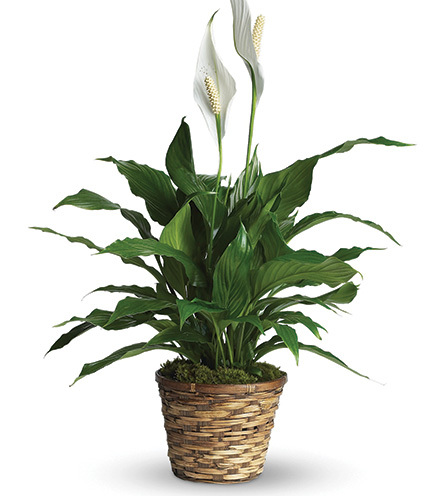 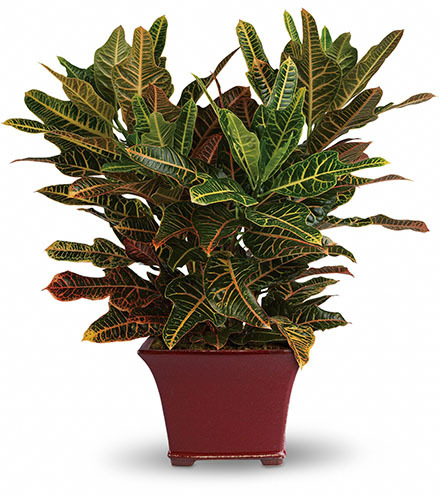 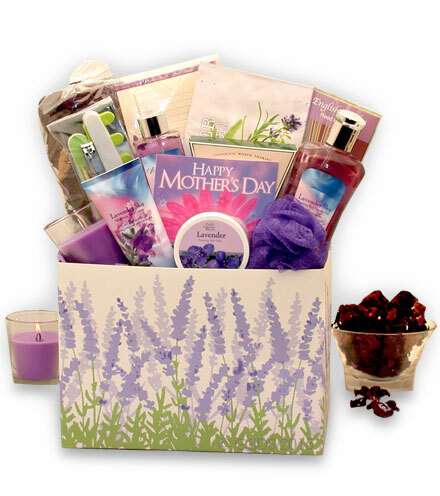 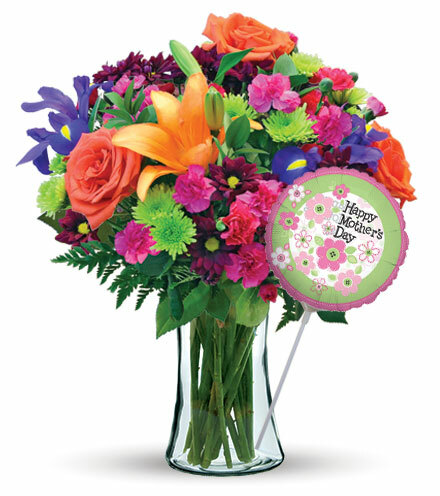 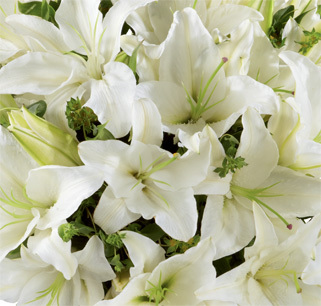 This floral gift carries warm wishes of benevolence and adoration for a cherished loved one.